Kudos to whoever designed the box for this product. 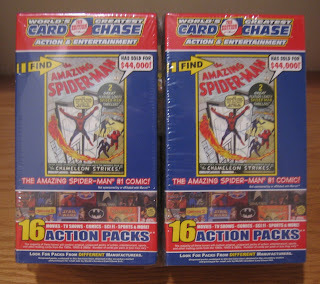 I rarely buy packs or boxes anymore, but I was drawn to the Spiderman comic on the front of the box... and with a little encouragement from Max (who was selling these) at the Great Mall card show, I picked them up. I figured at $5/box, how could I go wrong? That's less than $.16/pack. I mean... at that moment in time, I felt like the box should have said... 2009 World's Greatest Deal. Well... I was wrong... and the fact is... you get what you pay for. But I have nobody to blame, except myself. Yep... I'm the buffoon! World's Greatest Card Chase did an excellent job of advertising their product accurately. 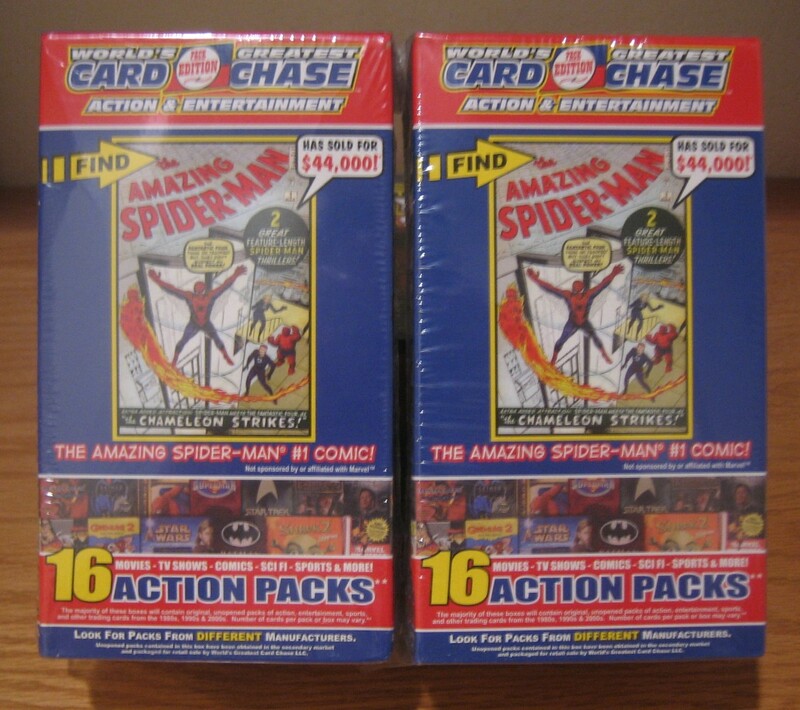 They promised 16 action packs, which were defined on the box as either movie cards, TV show cards, comic cards, sci-fi cards, or sports cards. 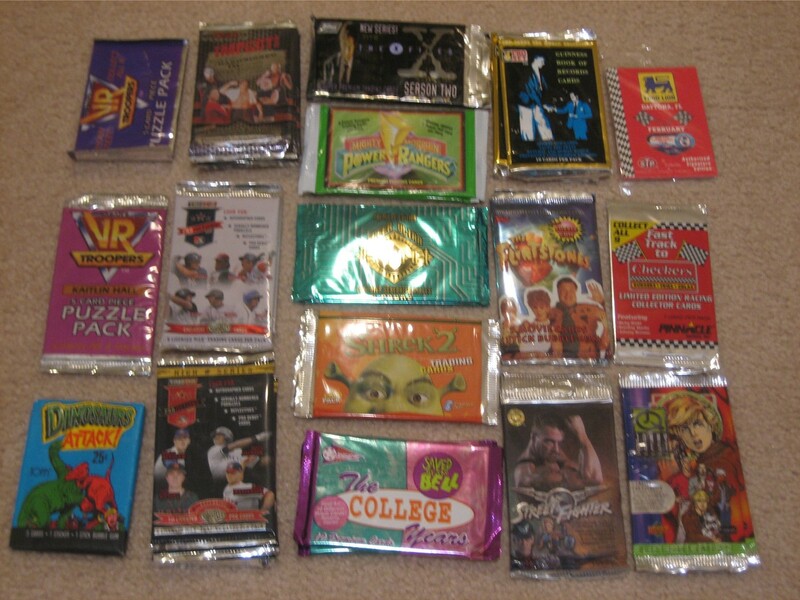 Nothing spectacular, but at least I'm able to add a few more packs to my Non-Sports Wax Pack Collection. For the price, you cant really go wrong. It would have been nice if they threw in a Marvel Universe Series 1 pack in the box. That would make up for falsely advertising the comic on the box. LOL! This is the card from Marvel Universe Series 1 that I was referring to. 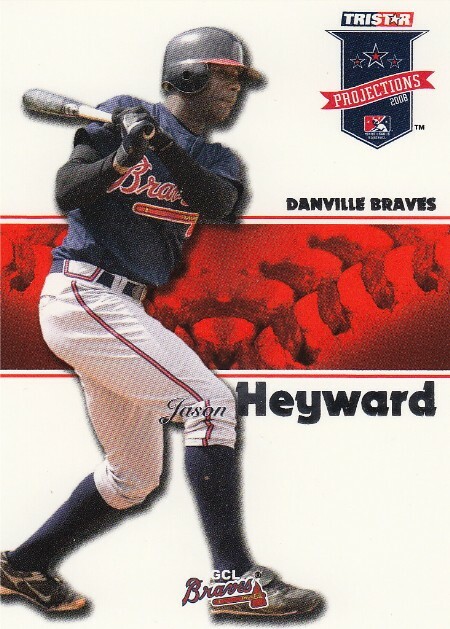 It is a real card. Thats a pretty good deal right there! Thanks! Didn't find much to open, but at least several packs went to my non sports unopened wax pc. The rest I'll giveaway in this summer's contest. I'm a huge fan of those Marvel Universe sets from the early 90's. I purchased a ton hunting down those holograms... still need a couple for my sets.